Today we are going to take a look at a common grasp that emerges as a baby begins to grasp objects with their hands. 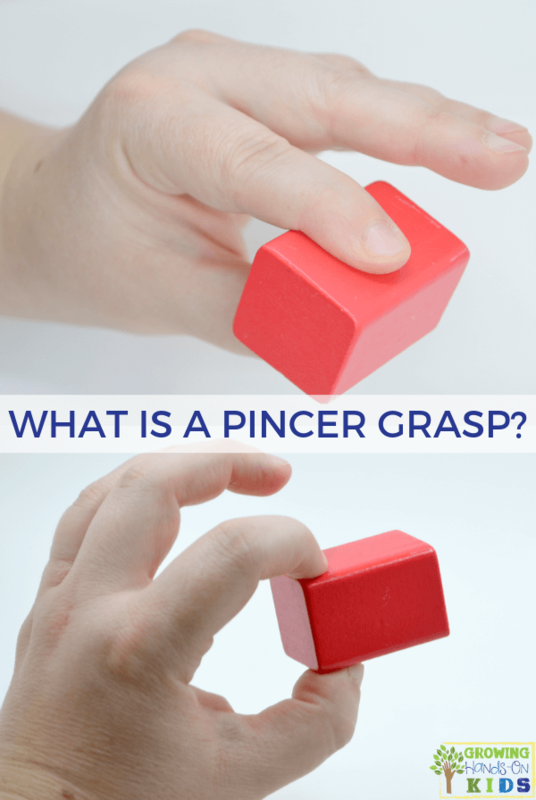 Have you ever wondered what is a pincer grasp and why does it matter? If so, I have all the answers for you in this post. 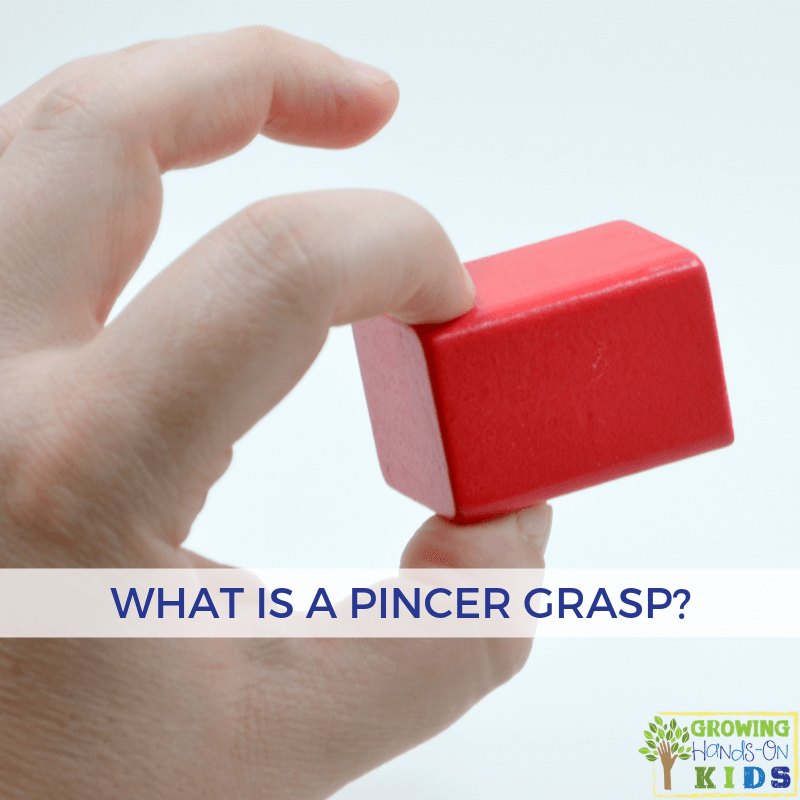 The pincer grasp is defined as a grasp that uses the pads then tips of the index finger and thumb to pick up and grasp objects. Lots of developmental skills need to be in place for a baby to master the pincer grasp such as core and should stability. You probably recognize this grasp the most as a baby masters feeding itself and can pick up smaller pieces of food such as circle cereal with their fingers instead of the palm of their hand. You will also see it referred to as a neat pincer grasp or superior pincer grasp. 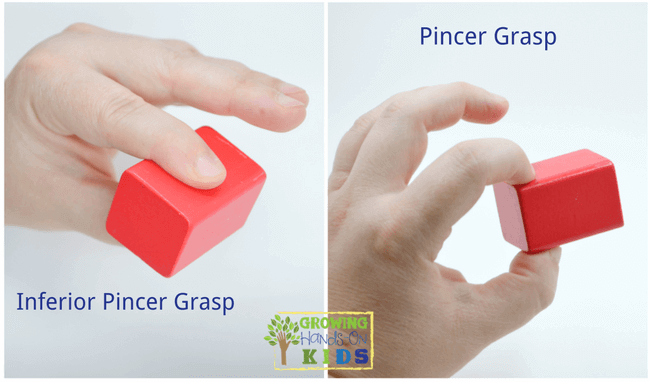 An inferior pincer grasp is similar to a regular pincer grasp, except that the child is still learning to master this grasp and so they use the pads of the fingers instead of the tips. You will most likely notice this grasp as a baby begins to pick up finger foods or smaller objects. You will also see it referred to as a crude pincer grasp. When a baby begins to develop grasp patterns, it begins with very crude movements that involve the entire arm or hand. Babies develop by focusing on large movement patterns first, such as rolling, sitting, up, and cruising/crawling. All of these are important for a baby as they begin to refine grasp patterns. They need to be able to hold themselves up and stabilize the arm as they reach refine grasp movements and patterns. 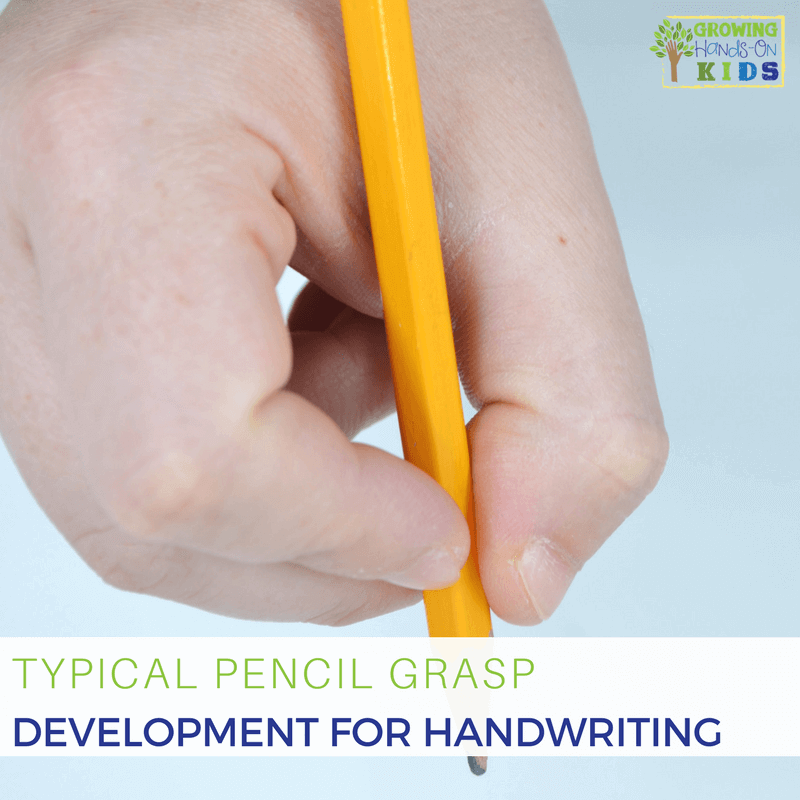 The pincer grasp is also important for future handwriting skills like pencil grasp. We will look at ways you can work with older children on pincer grasp below. The inferior pincer grasp will develop around 8 to 9 months old with the pincer grasp refined around 10-12 months of age. This is when a baby begins to grasp smaller objects such as finger foods and need a more precise grasp in order to be successful. You can also have your baby practice this skill in many ways, which we are going to look at below. Pincer grasp is also needed as a child begins to grasp a pencil for handwriting and other functional skills such as dressing and pinching objects as a child matures to 3 to 5 years old. When a child hits 5 to 10 years old you will notice their grasp and grip strengthening as they are able to open or hold heavier objects and being able to grade the strength needed for various functional tasks. Here are some very simple activities that you can provide to your baby to promote good pincer grasp skills. Babies aren't the only ones who need to practice pincer grasp. As we talked about earlier, it is an important grasp for future pencil grasp skills so a child is able to hold the pencil between the tips of the thumb and index finger for a tripod grasp, or additional middle finger for the quadrupod grasp. 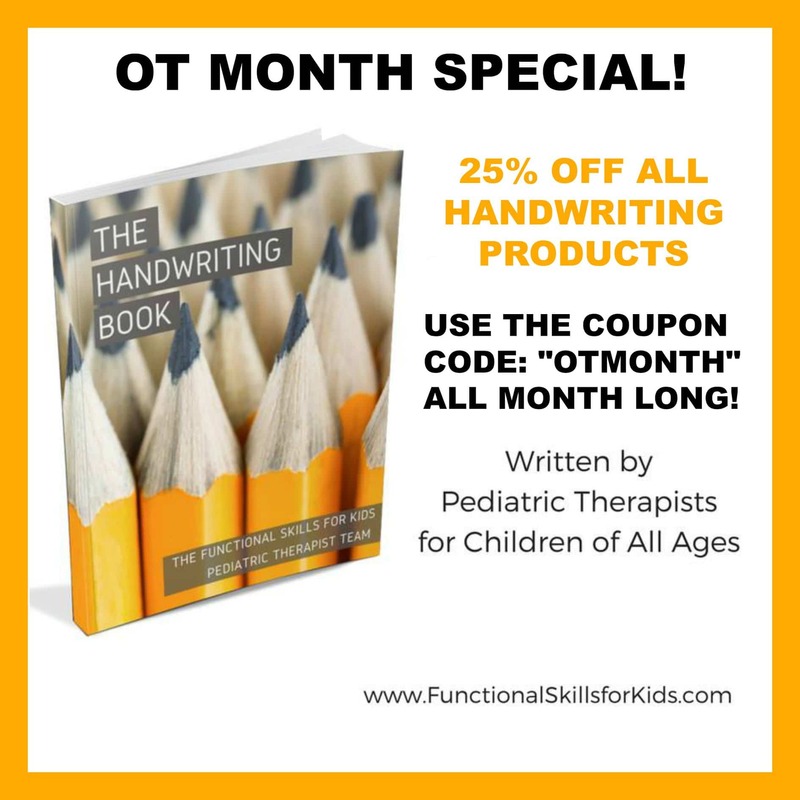 For more information on handwriting skills, The Handwriting Book was written by 10 pediatric Occupational Therapists and Physical Therapists. It shares tips, tools, and strategies for emerging and supporting handwriting skills in children of all ages, even struggling writers. Case-Smith, J. O'Brien, J.C. Occupational Therapy for Children and Adolescents, 7th Edition. 2015. Mosby, an imprint of Elsevier Inc.